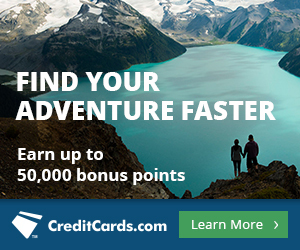 Chase is offering 5,000 Ultimate Rewards for each person that existing cardholders refer to the Sapphire Preferred, Sapphire, or Freedom cards. You can earn up to 50,000 Ultimate Rewards from this promotion. I recently downgraded my Sapphire Preferred to a Freedom, so I only have a referral link for the Freedom. If you have a Sapphire Preferred or a Sapphire, I’d be happy to feature your tweeted referral links in this post. How can you earn up to 50,000 Ultimate Rewards? 1. Go to Chase Refer a Friend and type in your info. 2. Underneath the email and name boxes, look for “Or spread the word even faster:” and click the twitter icon. 3. Follow @milevalue and tweet your referral link tweet with an @milevalue. 4. I’ll embed a few in this post I’ve embedded a few in this post, and that’s probably all I’ll get to, so that people can click those links and earn readers Ultimate Rewards. The Chase Freedom comes with 10,000 Ultimate Rewards after spending $500 in the first three months. The Ultimate Rewards earned on a Freedom are not transferable to airlines or hotels. That’s why to get maximum value from a Freedom, you need to have a Sapphire Preferred, Ink Bold, or Ink Plus. Transfer the Ultimate Rewards from your Freedom to one of those cards, and then you can transfer them 1:1 to United, British Airways, Korean, Southwest, Virgin Atlantic, Hyatt, Amtrak, and more. The Freedom has no annual fee. The Sapphire Preferred is one of the best all around rewards cards. It comes with 40,000 transferable Ultimate Rewards after spending $3k in three months, and it earns 2x Ultimate Rewards on travel and dining, both of which are generously defined. Additionally, it offers a 7% points dividend at the end of the calendar year on points earned that calendar year. 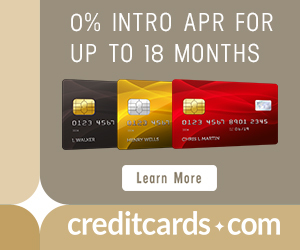 The card has no annual fee the first year, then $95. Here are some referral tweets from readers. How did you downgrade your Sapphire Preferred to a Freedom card? I tried to do that and Chase would only let me downgrade to a standard Sapphire card. I asked, and they said yes. It helps if you apply for the Chase Freedom first and then ask them to move the credit line around to get approved for the Freedom. In my experience, I was only able to downgrade my CSP to the CS card. Suggestion: When people apply for the above links, please post which person you applied under and if you get approved so they know they have a referral credit coming. Maybe once one person indicates they went through a person’s link, the next person can go down to the next one (Congo line) so everyone gets a bonus. Just read your update – I know you are busy, but maybe you can let other people have a chance to be exposed to getting a bonus….? It would be cool if each one of us could get at least one. Twitter links aside, I took advantage of the opportunity to send the referral link to friends via email and post to Facebook, as well. Since booking 4 free airline tickets to Europe next summer, friends that thought I was at the least crazy and at the worst flirting with shady dealings, are suddenly interested in what this hobby is all about. They might be ready to start with a Chase Sapphire Preferred card. Can you participate in this referral offer if you don’t have the Chase Sapphire card (mine’s expired) but you do have Ink Bold? +1 on “On the Chase”‘s question. I have an Ink card, but not a CSP. Can I still get a referral bonus? Check whether you have referral links. I only found one for the card I have. I used the Freedom link from MileValue and I have been approved. So milevalue, you should get 5000 bonus points.